A fire devastated the Notre Dame cathedral in Paris, felling its world-famous spire and destroying religious artefacts. 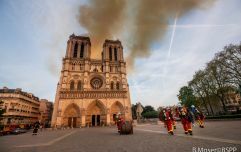 Emmanuel Macron declared a national emergency and visited the site and the government's interior minister warned firefighters may be unable to save the 850-year-old building. The blaze consumed the 12th century building on Monday evening, eviscerating the medieval wooden roof and spire. Officials have speculated the cause may be the €6 million renovation works, after the Catholic Church launched an urgent appeal. Local media report no one was injured by the fire and police are treating it as an accident. French president Emmanuel Macron said he was "so sad tonight to see this part of all of us burn." He was scheduled to make a speech this evening following gilet jaunes protests but delayed arrangements in order to witness the scene. 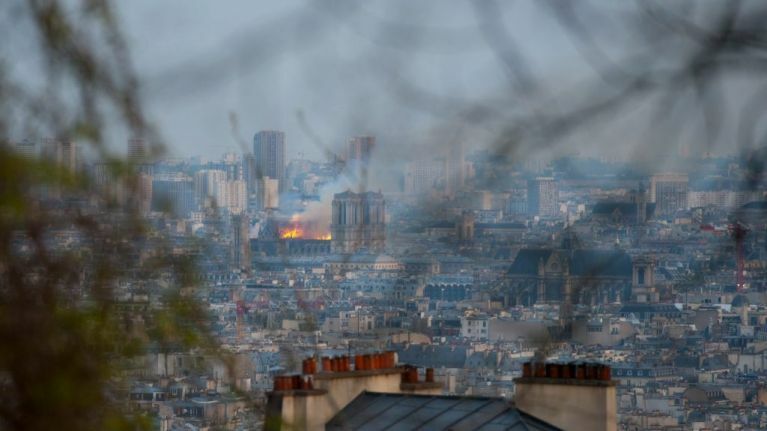 A spokesperson at Paris' fire department said the next 90 minutes were "crucial" to containing the fire. France's interior minister cautioned firefighters may not be able to save the building. Efforts are being focused on rescuing priceless artworks from the back of the cathedral, as well as the North tower.